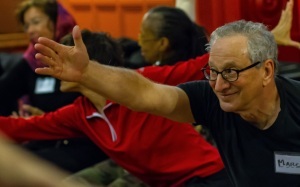 Focused on inspiring strong and creative movement among adults of all ages and abilities, our free programs are the heart of Dances For A Variable Population’s work. Based on the core values of appreciating one’s own body and moving with other people, the programs promote greater mobility, self-confidence, physical awareness, social interaction, expressiveness in movement, and a greater sense of meaning. We start by acknowledging each individual’s history and take each participant forward from that place. Since 2008, DVP has worked with over 45 senior centers and senior oriented institutions. 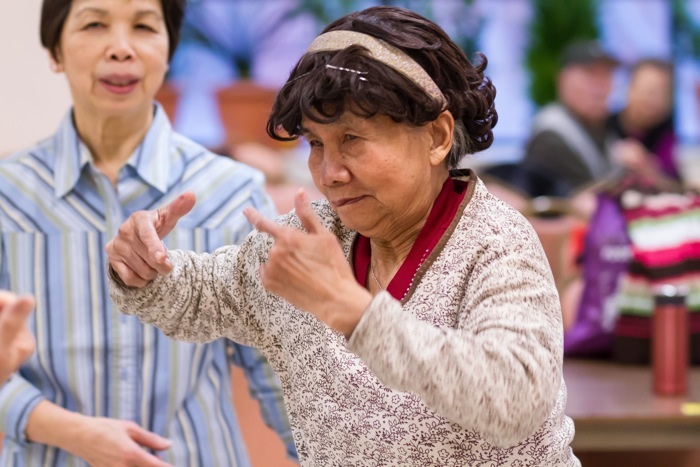 Each year, we typically visit 10-12 centers with our Dances For Seniors programs and run our signature Movement Speaks programs at 12-14 additional sites citywide. MOVEMENT SPEAKS® offers seniors in low-income communities free sequential dance instruction followed by a public performance of their original work. Ranging in length from 10 to 36 weeks, each 75-minute session typically includes warm-up and dance exercises for seated and standing participants; individual and group dance improvisation; memorization of basic movement phrases; and cool-down. Throughout the program, students will create movement in preparation for culminating performances, which take place at the workshop site or in the surrounding community. The program operates in libraries and senior centers citywide. 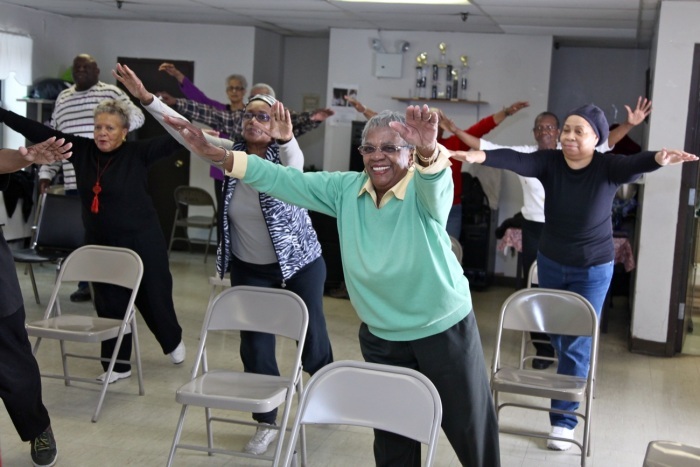 DANCES FOR SENIORS offers free interactive modern dance performances and participatory workshops to low-income seniors at New York City senior centers. Each program includes 30-minute performances by DVP’s multigenerational company, which encourage audience participation and feature artist-led introductions to explain the work. Following the performance, participatory dance workshops use creative movement, improvisation and personal gesture to introduce modern dance to participants. 120 West 76th st, 3rd Fl.